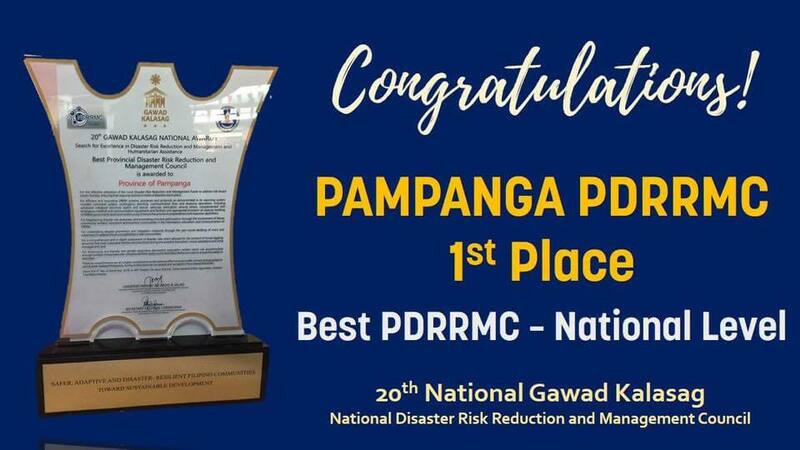 CITY OF SAN FERNANDO—The Pampanga Disaster Risk Reduction Council (PDRRMC ) was conferred the prestigious 20th National Gawad Kalasag Award after being evaluated as the best in disaster risk reduction work in the entire country. A national selection committee from from member-agencies of the National Disaster Risk Reduction and Management Council chaired by the Office of Civil Defense conducted a series of stringent evaluation of the PDRRMC’S systems and programs that was developed from one of the world’s worst disasters, Mt. Pinatubo’s 1991 eruptions and lahar flows. 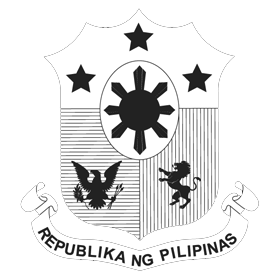 Defense Secretary Delfin Lorenzana handed the award to Vice Governor Dennis “Delta” Pineda, co-chair of the PDRRMC, at the AFP Amphitheater on Tuesday. The PDRRMC stood out for its best practices in empowering communities and the private sector to be alert, prepared and safe from disasters, PDRRMC action officer Angelina Blanco explained. The PDRRMC won the regional Gawad Kalasag regional Hall of Fame for five consecutive years. In 2016, the PDRRMC landed second in the 18th National Gawad Kalasag. “The National Gawad KalasagAward recognizes the leadership of the PDRRMC headed by the chairperson, Governor Lilia Pineda, and vice chairperson, Vice Governor Dennis Pineda, in the council’s programs and projects that try to reduce the risks posed on people by natural hazards such as flooding, storm surges, landslides and earthquakes,” Blanco said. “Through the PDRRMC, we also see the cooperation of the provincial government, public agencies, private organizations, non-government organizations and civil society groups,” she added. 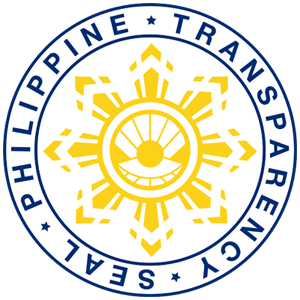 “Gusto ko ligtas tayo lagi sa kalamidad at sakuna,” is Vice Governor Pineda’s constant motto. he has championed the construction of a provincial command center that is linked to coastal and inland communities to make disaster responses quicker. It began land banking by buying 10.7 hectares in Barangay San Roque in Mexico town, 5 hectares in San Isidro in Magalang town, 42 hectares in Sta. Catalina in Lubao and 10 hectares in Telapayong in Arayat town (under usufruct contract with the National Housing Authority) as relocation site sand possibly a trading post for the agriculture sector. Through colored stickers, it tagged houses in remote coastal villages to be able to prioritize the rescue of elderly (orange), persons with disabilities and ailments (red) and children (yellow). It has organized a wide network for information dissemination in disaster preparedness, mobilizing 550 public school teachers and 9,760 Nanay (mothers) community volunteers who assist village leaders. It is well-equipped for rescue missions and medical emergencies. It has also five backhoes on barge that deepen creeks and rivers year-round. It has trucks capable of delivering fuel and water. Its has forged partnerships with the Pampanga Chamber of Commerce and Industry, Filipino-Chinese Chamber of Commerce and Industry, Philippine Red Cross, Pampanga Association of Water Districts, Pampanga Truckers Association, Pampanga Youth Association, Center for Emergency Aid and Rehabilitation Inc. (CONCERN), Pampanga Disaster Risk Reduction Network and Association of Health Workers. After doing humanitarian assistance in Tacloban and Samar that bore the wrath of SuperTyphoon “Yolanda” in November 2013, the Pampanga PDRRMC made rescue and relief missions to flood victims of Typhoon “Lando” in Nueva Ecija in October 2015, Bataan and Olongapo City in 2018.